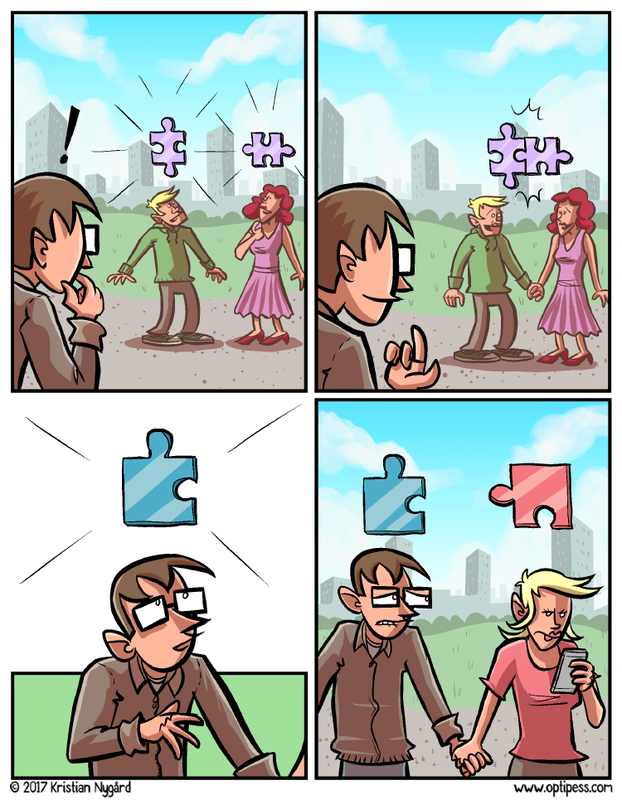 Trivia: This comic is kind of a loose continuation of this classic Optipess comic from years ago. By the way, speaking of years and years worth of free comics, you can now buy me a coffee on Ko-fi.com as a way of saying thanks! This is a swell way to support me and my cartooning endeavours. OR, check out my Patreon page if you want to contribute continuously per month instead. Either way, thanks! I wouldn’t have been able to continue making Optipess without your support. At least this one doesn’t end in necrophilia.